With the conclusion of Critical Role's Vox Machina campaign, its been a fun few weeks with a new part of the world, new characters, and new stories. It's been fun to see the community of both D&D and Critical Role create so much art is such a short period of time. 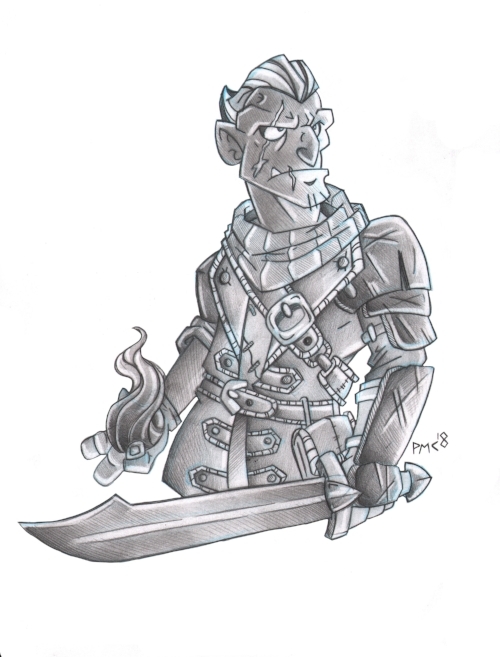 And I wanted to join in with my rendition of the half orc warlock Fjord.